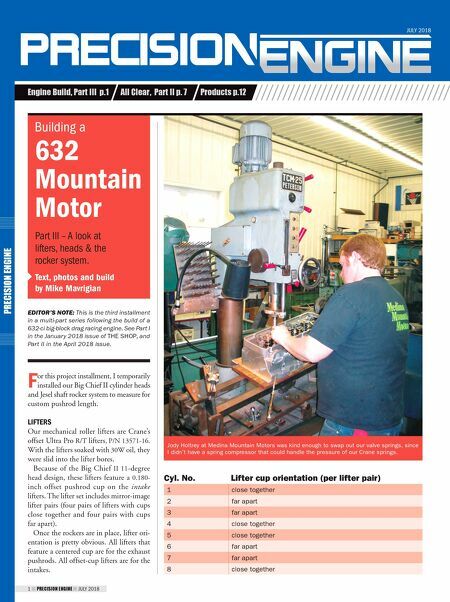 82 THE SHOP JULY 2018 JULY 2018 Engine Build, Part III p.1 All Clear, Part II p. 7 Products p.12 Building a 632 Mountain Motor Part III – A look at lifters, heads & the rocker system. Text, photos and build by Mike Mavrigian EDITOR'S NOTE: This is the third installment in a multi-part series following the build of a 632-ci big-block drag racing engine. See Part I in the January 2018 issue of THE SHOP, and Part II in the April 2018 issue. 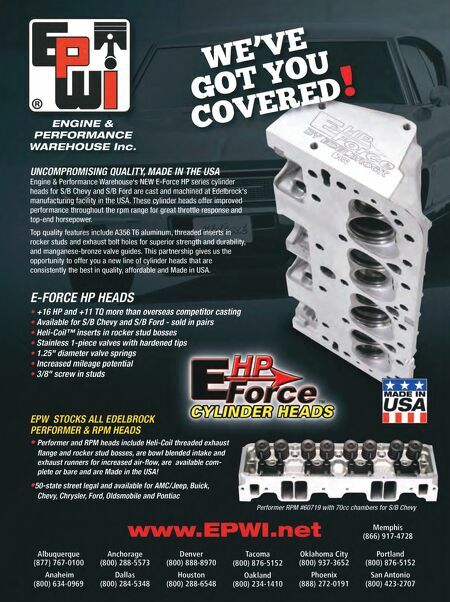 F or this project installment, I temporarily installed our Big Chief II cylinder heads and Jesel shaft rocker system to measure for custom pushrod length. LIFTERS Our mechanical roller lifters are Crane's offset Ultra Pro R/T lifters, P/N 13571-16. With the lifters soaked with 30W oil, they were slid into the lifter bores. Because of the Big Chief II 11-degree head design, these lifters feature a 0.180- inch offset pushrod cup on the intake lifters. The lifter set includes mirror-image lifter pairs (four pairs of lifters with cups close together and four pairs with cups far apart). Once the rockers are in place, lifter ori- entation is pretty obvious. All lifters that feature a centered cup are for the exhaust pushrods. All offset-cup lifters are for the intakes. 1 PRECISION ENGINE JULY 2018 PRECISION ENGINE Cyl. No. Lifter cup orientation (per lifter pair) 1 close together 2 far apart 3 far apart 4 close together 5 close together 6 far apart 7 far apart 8 close together Jody Holtrey at Medina Mountain Motors was kind enough to swap out our valve springs, since I didn't have a spring compressor that could handle the pressure of our Crane springs.